On Monday, when announcing his decision to reduce in size the Bear Ears and Grand Staircase-Escalante national monuments, President Trump reassured state residents that his decision brings finality to the controversy over just how much federal land in Utah needs protection under a 1906 law. Nearly just as quickly as those words left Trump’s mouth, environmental and tribal groups responded: Not so fast. As with many Trump administration actions, the reduction of Bears Ears and Grand Staircase-Escalante by more than 1.1 million acres and more than 800,000 acres, respectively, has sparked at least two lawsuits challenging the legality of Trump’s action. 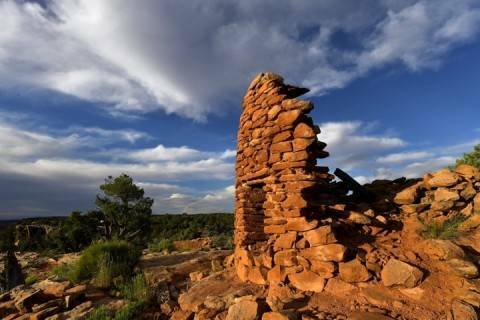 But the Trump administration’s national monument decision, along with the ensuing lawsuits, run a course through uncharted legal territory for a 111-year-old law. The 1906 Antiquities Act, under which national monuments are created, was designed to protect archaeological sites from looting and other destructive activity when signed more than a century ago by President Theodore Roosevelt. Although only Congress can create national parks, the president is empowered under the Antiquities Act to unilaterally create national monuments. Over time, presidents from both parties have come to use that authority expansively to protect areas thought to be environmentally sensitive. Then-President Barack Obama established 26 national monuments, more than any other president, drawing the ire of western conservatives who accused him of overreaching and elbowing out cattle ranchers and miners from making a living off that land. This week, a group of five Native American tribes sued over the dissolution of Bears Ears, which is prized by many tribal leaders as a sacred site. Similarly, Earthjustice and nine other environmental groups filed a lawsuit over the reduction of Grand Staircase-Escalante. Both lawsuits say the Antiquities Act operates as a one-way ratchet, allowing a president to make but not unmake national monuments. Without that explicit authority, the plaintiffs say, the power to trim the borders of a national monument falls to Congress. According to David Hayes, deputy secretary of the Interior Department under Obama, the property clause of the U.S. Constitution gives Congress authority over federal lands. But proponents of the Trump administration’s actions note at least six presidential administrations have shrunk national monuments — sometimes significantly, as was the case with the Mount Olympus National Monument in Washington (now Olympic National Park), which President Woodrow Wilson contracted to harvest timber needed during World War I. “Antiquities doesn’t necessarily address this, but precedent and history does,” said Rep. Chris Stewart, a Republican whose Utah district overlaps with Grand Staircase-Escalante. Tribes and environmentalists counter that none of these reductions faced judicial scrutiny, and none of them constitute anything close to the 85 percent reduction of Bears Ears. They also note that since the presidency of John F. Kennedy, the last president to shrink a national monument, Congress has passed laws such as the 1976 Federal Land Policy and Management Act and a 1998 adjustment to Grand Staircase-Escalante's borders that “clearly demonstrated that Congress did not intend for presidents to have that authority,” according to Earthjustice’s Caputo. He says that the law is “a poorly worded statute” in need of updating. Even if Trump prevails in court, a future president can use the Antiquities Act to undo what he undid. Which is why amending the law is a priority of House Natural Resources Committee Chairman Rob Bishop (R-Utah). In October, his committee approved legislation requiring state and local government approval for the creation of monuments over 10,000 acres and codifying into law a president’s ability to shrink prior designations. “It would be wise for us to reform Antiquities just to make sure that process is there,” Bishop said Tuesday. Bishop added he is reaching out “all the time” to right-leaning Senate Democrats needed to surmount the 60-vote filibuster in that chamber. In the meantime, the legal battles probably will grow as the Trump administration decreases the size of more national monuments. On Tuesday, Interior Secretary Ryan Zinke recommended reducing the size of Nevada’s Gold Butte and Oregon’s Cascade-Siskiyou monuments in addition to the ones in Utah. The secretary's proposal, which Sen. Ron Wyden (D-Ore.) said Tuesday was a "damaging, vague recommendation," also outline changes to the way six other land and marine sites are managed. Democratic attorneys general, who often sue the Trump administration over environmental issues, have yet to file a lawsuit regarding the national monuments. Should Trump take up Zinke’s recommendation, that probably would change. -- California aflame again: Multiple brush fires ripped through Southern California beginning overnight on Monday. The first and largest, in Ventura County, burned more than 55,000 acres by Tuesday evening, destroying more than 150 structures and forced more than 27,000 people to evacuate. California Gov. Jerry Brown declared a state of emergency in Ventura County, the Los Angeles Times reported. By Tuesday morning, 500 firefighters were dispatched to the area affected by the so-called Thomas Fire. The second Creek fire started near Sylmar, Calif. and the third, the Rye fire, began in Santa Clarita on Tuesday morning. The Creek fire had burned through 11,000 acres, and the Rye fire burned 5,000 acres by Tuesday evening. Los Angeles Mayor Eric Garcetti declared a state of emergency in the city due to the Creek fire, located north of the downtown area. Garcetti said the fire burned through 30 structures. It’s not yet clear how many people have been injured or killed in the fires. The National Weather Service warned that winds and “very critical weather conditions” that could lead to “very rapid fire growth” would continue Wednesday night into Thursday. Conditions in the state are ripe for fires, Max Ufberg, Mark Berman, Eli Rosenberg and Noah Smith write for The Post: “The fire’s fuel was a year in the making. After an epic, multiyear drought, California finally got the rain and snow it needed last winter, and it allowed vegetation to rebound. The hills turned green and the brush thickened. 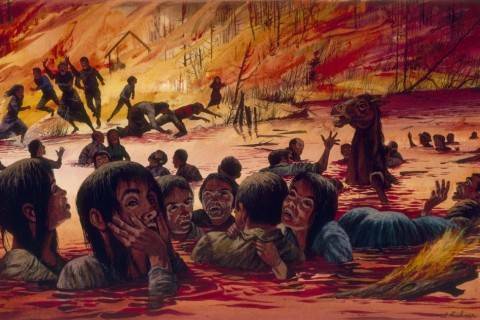 But as the weather turned dry, it created plentiful amounts of fuel, which are now feeding the wildfires." 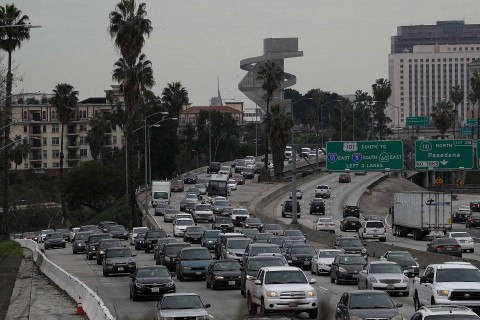 The Capital Weather Gang’s Angela Fritz reported Tuesday probably would be the worst day for wind in the southern part of the state, with gusts topping 70 mph in the Los Angeles County mountains and Santa Monica Range. Fritz also explains how current conditions contributed to the fire’s overnight explosion: “Heat, low humidity and wind aren’t enough to create wildfires, but if one does start, the growth could be wild and rapid. These factors proved to be deadly earlier this year when a fire ignited and raced across the counties north of San Francisco Bay in the overnight hours,” she wrote. The Los Angeles Times’s Priya Krishnakumar and Joe Fox have a good explainer on why this year has seen one of the worst fire seasons for California, as the newest flames explode just two months after deadly blazes erupted across the northern part of the state. And Los Angeles Times photographer Marcus Yam shares a photo that very well could become an iconic image for the 2017 California wildfires. As deadly blazes rage in California, a look back at the 1871 fire that burned more than 1.5 million acres of land in Wisconsin and Michigan and killed as many as 2,500 people. -- Arctic refuge drilling gets an advocate in conference: The Alaska congressional delegation, which for years has sought to allow oil drilling in the state's Arctic National Wildlife Refuge, scored a victory with the inclusion of Rep. Don Young (R-Alaska), the state's sole congressman, on the conference committee that will reconcile the House and Senate versions of the tax bill. Great news-@repdonyoung will serve on Conference Cmte. tasked w/ reconciling House & Senate tax reform bills. He'll fight to uphold key provisions that support/protect Alaska's future, including our language to open a small portion of 1002 Area to responsible energy development. Bishop, chair of the House Natural Resources Committee, suggested ANWR drilling would emerge from conference even without an Alaskan in the room. "The rest of us are committed to going that way with or without Rep. Young there," Bishop said Tuesday. -- A proposal for a sixth national park in Utah: Following the Bears Ears and Grand Staircase-Escalante announcement, Bishop and other members of Utah’s all-Republican delegation argued in a news conference yesterday the presidential proclamations don't constitute a cave-in to industry interests. Case in point, they contend: Coinciding with Trump’s trip, the Utah congressional delegation this week introduced legislation to create a new national park out a portion of Grand Staircase-Escalante, which would be called Escalante Canyons National Park. Another proposal, from Rep. John Curtis (R-Utah), would codify into law two national monuments the Trump administration created out of Bears Ears — Shash Jaa and Indian Creek — while prohibiting mineral extraction within the rest of what was Bears Ears. That restriction doesn't extend to land previously part of Grand Staircase-Escalante, which has coal deposits. -- “The President Stole Your Land:” That’s the message customers found when they visited the website for retailer Patagonia on Monday afternoon, a response to Trump's decisions to shrink the Utah monuments. “In an illegal move, the president just reduced the size of Bears Ears and Grand Staircase-Escalante National Monuments,” read the website for Patagonia, known for its environmental activism. REI, another recreational-gear company, posted on its homepage in protest, The Post’s Travis M. Andrews reported. “Despite the loss of millions of acres of protected lands this week, REI will continue to advocate for the places we all love,” the site read. Patagonia founder Yvon Chouinard told CNN he plans to join in the emerging lawsuits against Trump. In an interview with Fox News, Zinke dismissed the protest from retailers as criticism from companies “that make their products in other places on foreign shores:"
-- Less higher education in high-level science positions: The Trump administration is filling its science, environment and health posts with people with fewer science academic degrees than the Obama administration, according to a new analysis from the Associated Press. The report found that of 43 Trump nominees in science-related positions, nearly 60 percent did not have a master’s degree or doctorate in a science or health field. 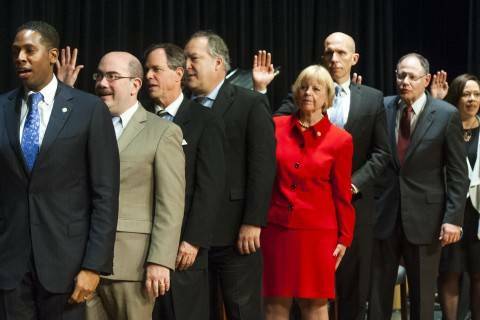 For the nominees' predecessors under President Barack Obama, more than 60 percent had advanced science degrees. The number of political appointees with a science doctorate or medical degree is 21 percent lower than the previous administration. The Obama administration had 19 compared with the Trump administration’s 15. And the number of nominees with master’s degrees dropped a third, from 27 under Obama to 18 in the current administration. Perry tour of Middle East: Energy Secretary Rick Perry is visiting the oil-rich Middle East and just inked a carbon-capture deal with Saudia Arabia, according to the Houston Chronicle. "The Department of Energy said Monday the memorandum of understanding between the two countries would extend to carbon capture, chemical looping and oxy-combustion, as well as, 'the energy-water nexus.'" -- Call it the opposite of a Christmas bonus: In the wake of a record number of natural disasters this year, FEMA has told its employees who worked extra hours this year that they may have to give some of that money back. Federal law puts a cap on federal employees’ pay and allows agencies to deduct excess pay from future paychecks, according to Bloomberg News. -- Survey says one third of Harvey applicants denied: A new report from the Kaiser Family Foundation and Episcopal Health Foundation found that two-thirds of respondents said they suffered property damage, lost income or jobs following the hurricane, which pummeled the Houston area. And of the four in 10 survivors who applied for assistance, 33 percent were denied by FEMA or the Small Business Administratio, The Post’s Joel Achenbach reports. An agency spokeswoman told Achenbach that people are always given reasons, detailed in a letter, for their rejection. Some common reasons include having insurance, relatively minor damage, or if more than one person in the household applied for assistance. 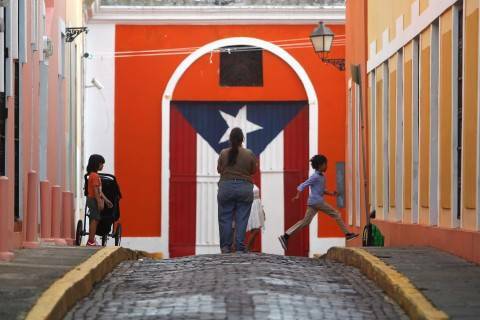 -- Puerto Rican official warned GOP tax bill would bankrupt territory: Francisco Pares, an assistant secretary in Puerto Rico’s Treasury Department, said the plan would harm “approximately a third of the total revenues Puerto Rico earns through its tax system,” Reuters reported. Jose Carrion, chairman of Puerto Rico’s federal financial oversight board, said he has met with Speaker Paul D. Ryan (R-Wis.) to express concerns about the tax bill. Officials are lobbying lawmakers to make changes to the legislation that would exempt Puerto Rico from a proposal to tax U.S. companies on foreign earnings. The U.S. territory is considered a foreign jurisdiction for tax purposes and would be subject to excise tax. House Ways and Means Committee chairman Kevin Brady (R-Tex.) told reporters that lawmakers are considering ways the legislation could help Puerto Rico, according to Bloomberg. "We haven’t come to a final decision yet, but we are exploring options," he said. -- Residents and outsiders work to restore Puerto Rico: Daniel Cassidy writes for The Post about the volunteer effort that is working to supplement relief efforts on the island. Two months after Puerto Rico’s governor challenged Tesla to “show the world the power and scalability” of his batteries, the U.S. territory announced that six of the company’s energy storage systems have been installed on the islands of Vieques and Culebra. The Energy Information Administration “is held out to be this unbiased arbiter of data,” the senator said. 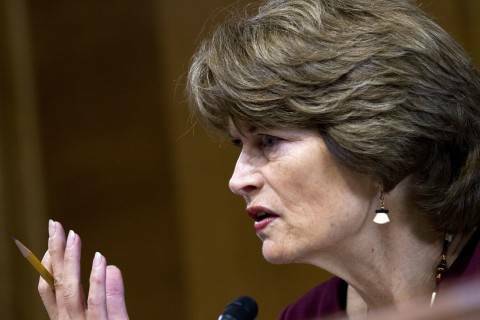 Murkowski told the nominee to run the agency that EIA should remain that way. The Bears Ears controversy stems in part from a sting orchestrated by federal agents in 2009. 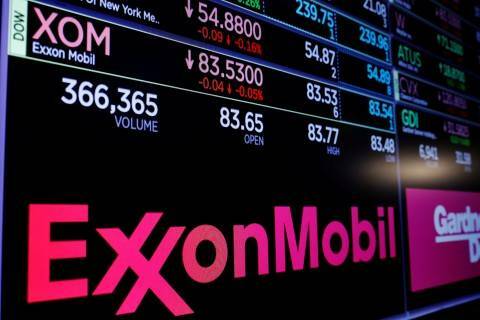 ExxonMobil urged Massachusetts' top court on Tuesday to block the state's attorney general from obtaining records to investigate whether the company for decades concealed its knowledge of the role fossil fuels have on climate change. 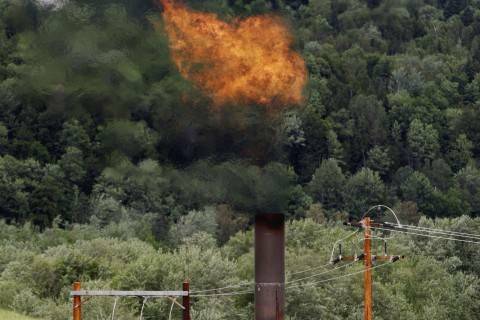 The oil lobbying group started a voluntary program Tuesday for member companies to reduce emissions of methane and other pollutants from the natural gas sector. -- Back to Fox & Friends: U.S. solar panel installers and other solar energy firms lobbying against tariffs on cheap, foreign-made solar panels made a six-figure ad buy on cable news shows, including Fox & Friends, in order to sway the president as he nears a January deadline on whether to impose the trade penalties. SolarWorld and Suniva have petitioned the U.S. government to slap tariffs on their foreign competitors that helped drive them out of business, with the final decision falling to Trump himself. "Mr. President, protect American manufacturing jobs," the ad says. "Reject SolarWorld and Suniva's claim, and keep American solar companies growing." Recently, lobbyists on this and other energy issues have turned to Fox & Friends, one of Trump's favorite news programs, to influence the time-constrained but still TV-obsessed commander in chief, as The Energy 202 reported last month. "Successful public affairs campaigns must use the best tools available to reach target audiences," said Rob Collins of S-3 Public Affairs, which helped make the new ad. "That is exactly what this ad seeks to do." 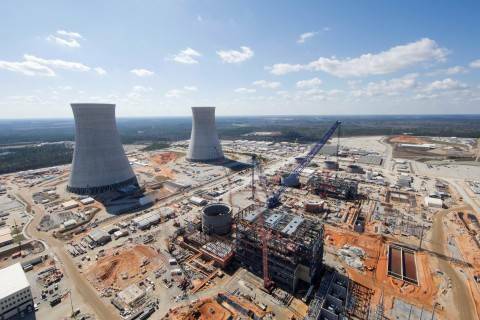 Georgia Power and Toshiba speed up money to finish reactors, but regulators warn of costs to consumers. -- A new job for the power company — feeding giraffes: Energy companies that regularly trim trees to prevent branches from damaging power lines are donating some of those trimmings to zoos. In Pennsylvania, PECO Energy Co., the state’s largest electric and natural gas utility, has donated three pickup trucks of browse, or leafy tree branches, to the Philadelphia Zoo every week from August through October, The Post’s Samantha Drake reports. Each week, between 100 and 200 pounds of mulberry clippings, acacia, honey locust and willow was brought to the zoo. The donations fed 40 of the zoo’s 330 species, Drake wrote, including giraffes, giant tortoises, gorillas, and degus. Montgomery County lawmakers say the ambitious goal will help the liberal suburb combat Trump policies. A California lawmaker wants to put the state alongside China, France and the U.K. and have its legislature consider a ban on vehicles powered by fossil fuels. The American Enterprise Institute holds an event on "Conservation programs, the waters of the United States, and the Renewable Fuel Standard." The House Natural Resources Subcommittee on Water, Power and Oceans will hold a legislative hearing to review the extension of endangered fish recovery programs. The Senate Indian Affairs Committee holds a legislative hearing. The Senate Environment and Public Works Committee holds a hearing on the nomination of R.D. James to be Assistant secretary of the Army for Civil Works. The Senate Committee on Environment and Public Works Subcommittee on Superfund, Waste Management, and Regulatory Oversight will hold a hearing on “Challenges Facing Superfund and Waste Cleanup Efforts Following Natural Disasters." The Center for Strategic and International Studies will host the launch of OPEC’s World Oil Outlook 2017 on Thursday. The House Natural Resources Subcommittee on Federal Lands holds a legislative hearing on Thursday.